David Siegler, M.D. 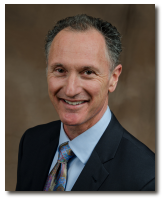 Born and raised in California, Dr. Siegler excelled in school and competitive tennis. He was Salutatorian of his high school class and that same year reached the finals of Junior Wimbledon, won the Southern California Men’s Tennis Satellite Circuit achieving his initial world ranking as an amateur on the ATP Circuit (Association of Tennis Professionals) and was the nation’s number one college recruit. He accepted a full-academic scholarship at Stanford and as a freshman, helped his team to the 1980 NCAA Men’s Tennis Team Championships. Soon after he turned pro and travelled around the globe competing on the ATP world circuit achieving a world’s singles ranking high of 75. He returned to Stanford and completed his biology degree in 1987, earned his medical degree from the University of Texas Southwestern in 1991 and returned to Stanford completing a residency in Pediatrics in 1993 and in Pediatric Neurology in 1996. He, his wife Andrea and 3 children left Stanford after training and moved to Tulsa where he joined Children’s Medical Center where he practiced 8 years and served as Chief of Staff. In 2004, Dr. Siegler started Child Neurology of Tulsa, so that he may practice his unique style of listening, compassion and humor combining to provide excellent care in a relaxed manner. Vangie earned her nursing degree from University of Oklahoma in 2003 and began working in pediatrics at St. Francis Children’s hospital as a new grad. In 2007 she joined Child Neurology of Tulsa and provides knowledgeable, friendly personalized care since. She supports Dr. Siegler in caring for patients in many ways including history taking, educating patients on treatments and conditions, addressing patient issues by telephone, helping obtain authorizations for visits, procedures, treatments and referrals and many other patient-care activities. She also helps with office activities like scheduling. In 2015 she chose to spend more time with her family and presently works half time. Marrissa has been working at Child Neurology of Tulsa since 2013. She is friendly, happy and eager to please. She is our main office employee performing all duties including answering phones, checking patients into and out of appointments, scheduling appointments, preparing charts, calls physician offices, labs and hospitals for records and results. In addition, she is clinically skilled and performs EEGs and NEBAs and helps room and educate patients when Vangie is not working. Reletta has been the head EEG tech at Child Neurology of Tulsa since 2014. She patient, warm and friendly. She has been performing EEGs on children since 2009, beginning her EEG career at St. Francis Hospital. She also performs NEBAs and helps with office functions including taking calls, sorting charts, making reminder calls, faxing notes and other office activities. Andrea is Dr. Siegler’s wife since 1988. She and Dr. Siegler met at Stanford in 1985 where she earned a Masters in Physical Therapy after earning a kinesiology degree at the University of California-Santa Barbara where she graduated with honors. She worked as a PT at Baylor Hospital in Dallas while Dr. Siegler was in medical school then at Stanford University Hospital in the Acute Neuro-Rehab unit while Dr. Siegler was training also at Stanford. She has been employed at Child Neurology of Tulsa since the beginning working behind the scene in HR (payroll, employee benefits) and business administration. Beginning in 2016 she began working in the office helping with front office and clinical needs.